Width 28″ Depth 16″ Height 5″ Weight 35 lbs. 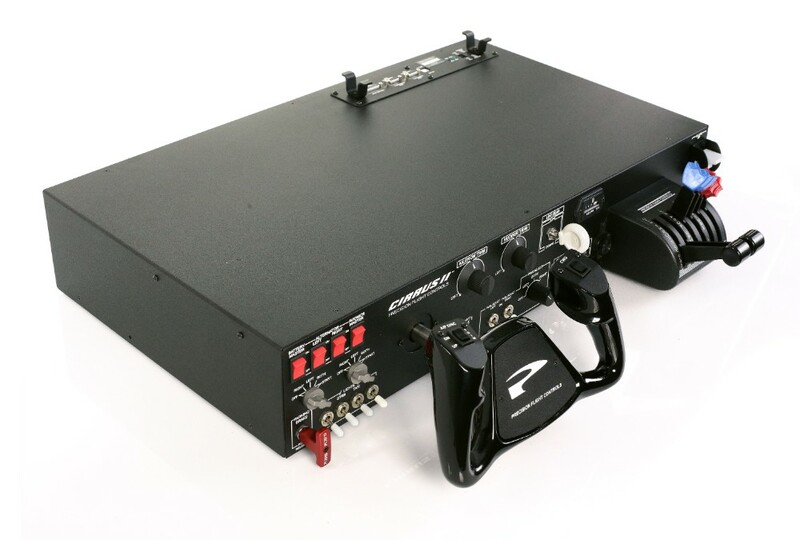 CIRRUS II FLIGHT CONSOLE BY PRECISION FLIGHT CONTROLS, INC.
"The Cirrus II Flight Desktop Flight Console is one of the best all around flight consoles found on the market today for flight training or entertainment. It is the perfect blend of innovative technology and engineering. You can use it by itself, or add rudder pedals and avionics for more realism. 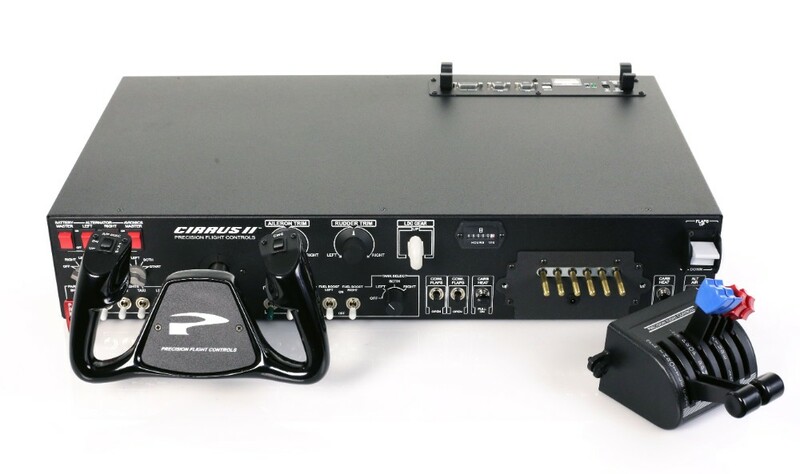 The new Cirrus II Flight Desktop Flight Console was engineered from the bottom up including a robust yoke mechanism and our new USB Digital Hardware Controller III . 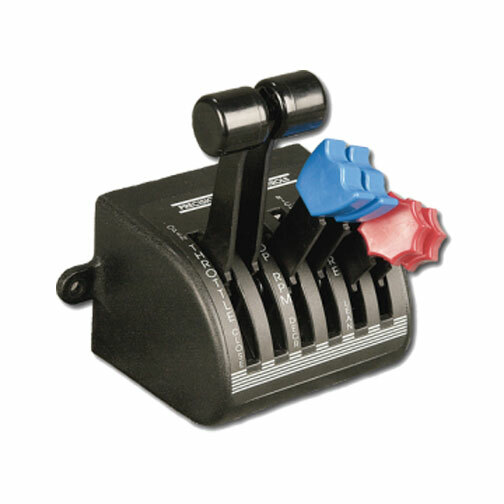 This new controller boasts Edge Card Technology and socketed reprogrammable chips that can be easily upgraded and serviced. 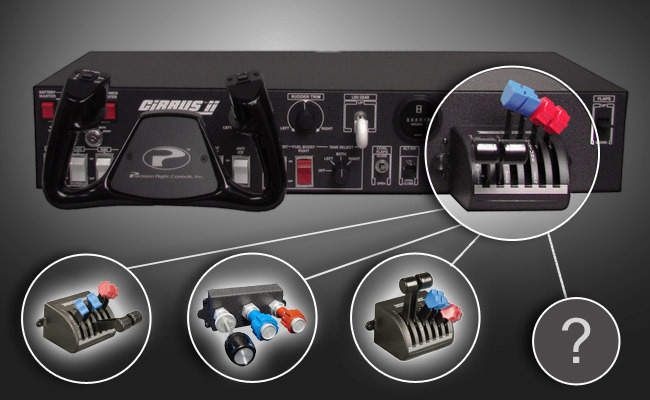 Unlike competitive products, pitch and roll inputs utilize state-of-the-art hall effect sensors for lifetime fidelity. This results in extreme resolution for exceptional response and improved flight control fluidity. 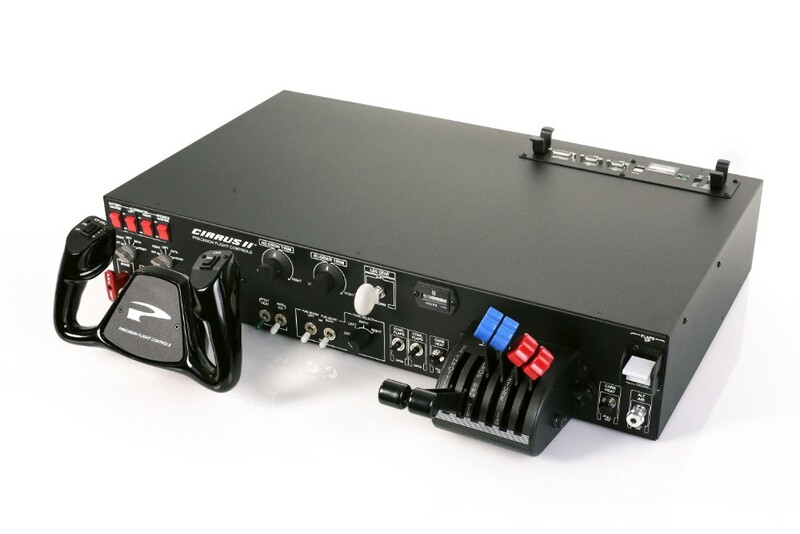 Available configured with your choice of Beech or Mooney style yoke. 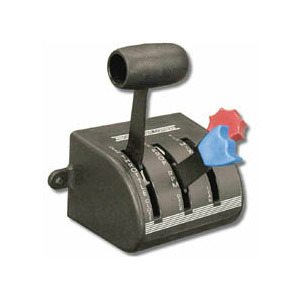 Saab or Boeing style yokes, or OEM Cessna yokes are available as an upgrade."